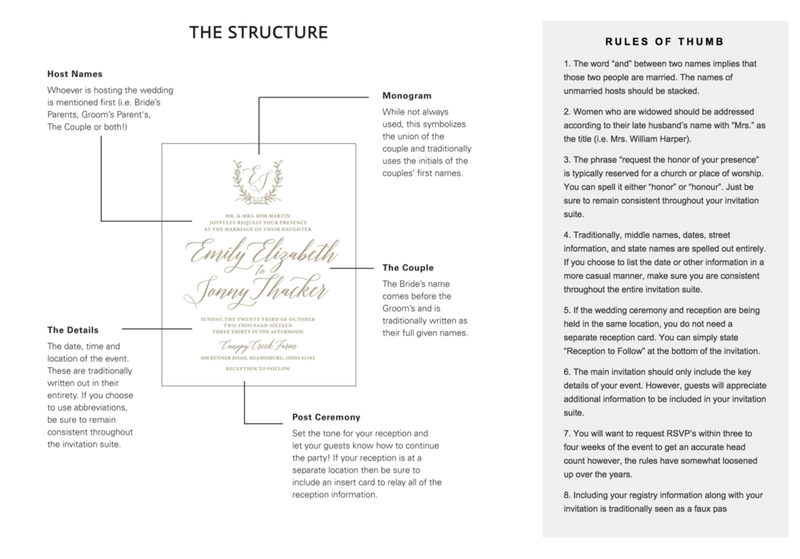 When it comes to the wording of your wedding invitations you can get as creative as you would like; however, there is a traditional structure to an invitation that might help to ease your formatting woes. Traditionally speaking the invitation will start out with a monogram. While this is not always used, it is a way to symbolize the union of the couple and typically uses the initials of the couple's first names (Bride, then Groom). Some couples choose to use the "married monogram" or letter of the new last name. Next comes the host names. This line is reserved for whomever is hosting the wedding (i.e. Bride's Parents, Groom's Parents, the Couple, etc.). There are a slew of different ways you can format the host line depending on your family dynamic (stay tuned for a future blog post). You can also read more about it here in my Stationery Guide. The couple's names round out the third spot in the format line up. 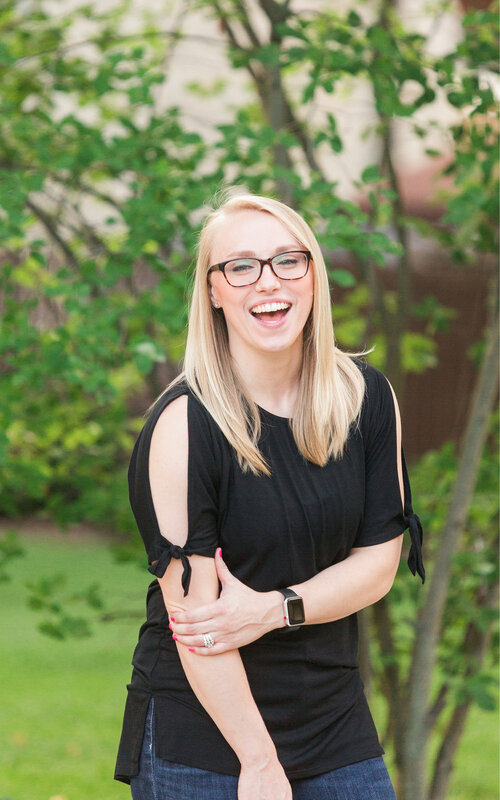 Traditionally speaking the Bride's name comes before the Groom's and depending on how the host line is worded you may or may not include your full given names. When parent's names are not listed it is suggested the couple writes their full given names (i.e first, middle, last, suffix). When parent's names are listed the couple's first and middle names will suffice. If not hosting, the Groom's parents names are listed following the Groom's name. And if Groom's parent's are omitted entirely, the Groom should use his full given name. Following the couple's names are the ceremony details. This includes date, time and location. These details are typically written out in full. For a fun/modern design aesthetic some dates are truncated or written out with numerals. 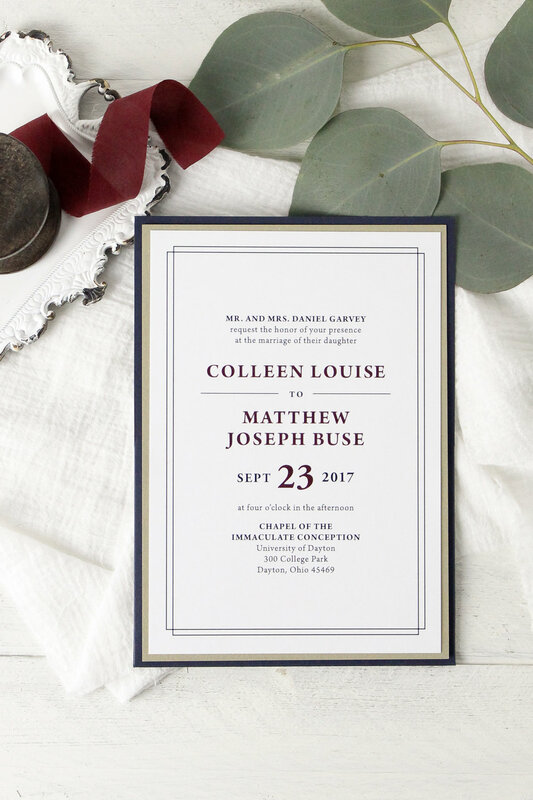 You can also choose to omit the full address of the ceremony location on the invitation, opting for just the city and state, giving your design a cleaner, more formal look. Instead the full address and other pertinent information would be included on an additional enclosure card. Last but not least the post ceremony details. This is a quick blurb to let your guests know how to continue the party. Typical post ceremony wording is "Reception to immediately follow", "Drinks, dinner and dancing to follow" and "Adult reception to follow", among others. 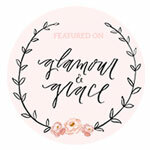 If you are wanting to have more of a lighthearted affair this is a good place to add in a bit of fun wording without distracting from the formality of the invitation. As mentioned before, all of your reception details will be included on a separate enclosure card, so no need to be super wordy. Please keep in mind that these are not hard and fast rules, just traditional guidelines. Please feel free to mix and match any wording style to fit your unique family dynamic, taste and style. A variety of examples are shown in photos below. And for even more in-depth info be sure to read the eight rules of thumb above.